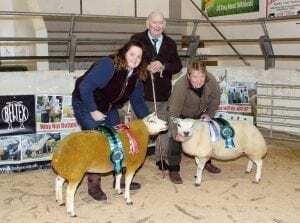 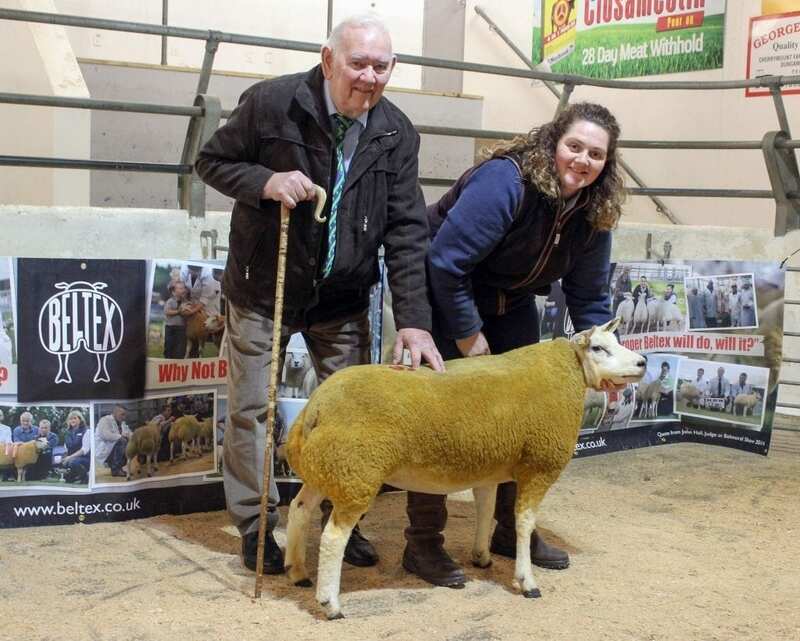 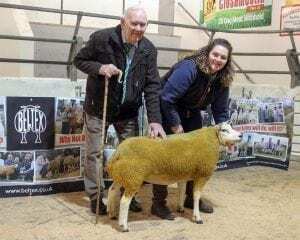 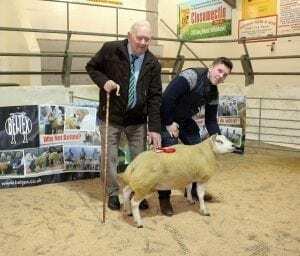 Elizabeth McAllister with Irish Beltex Sheep Breeders Club Christmas Show and Sale Champion, Artnagullion Blossom ET, Lot 16 and Kevin McCarthy with Reserve Champion, Ballycreelly Waylast, Lot 20 along with judge, David Brown. 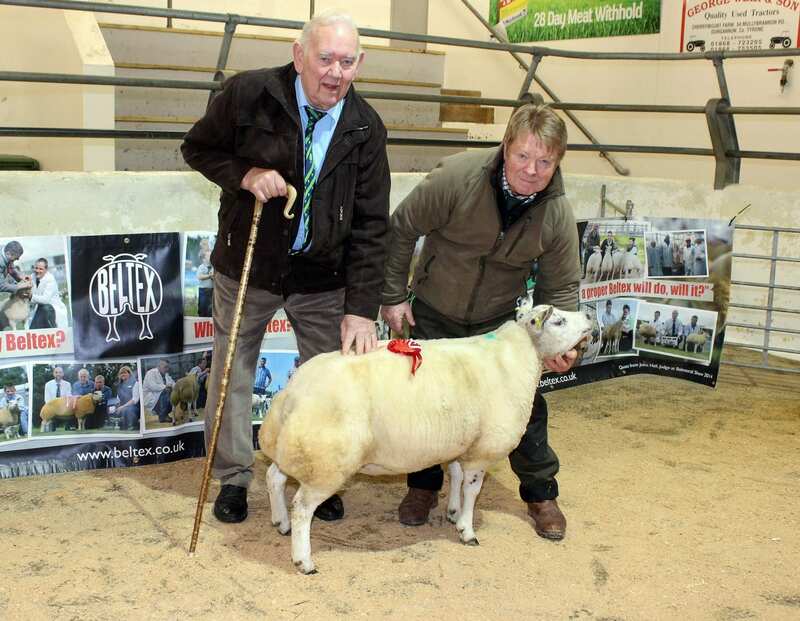 Matthew Burleigh, Matt’s Flock with his Ewe Lamb Class Winner, Matt’s Clown and judge, David Brown. 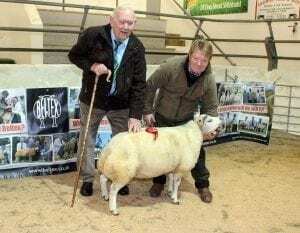 Kevin McCarthy, K & A McCarthy, with his Aged Ewe class winner and Reserve Champion, Ballycreelly Waylast, Lot 20 and judge, David Brown. Elizabeth McAllister with Shearling Ewe class winner and Overall Champion, Artnagullion Blossom ET, Lot 16 and judge, David Brown.